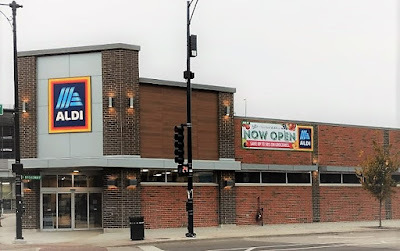 We've had the Aldi Re-Opening.... now it's time for the Grand Re-Opening! *UU Note: According to Knox News: "The first 100 shoppers through the door were handed a “Golden ticket” containing an ALDI gift card for a varying amount of $5-$100." "Receive a free Aldi eco-friendly bag (quantities are limited)"
Aldi's hours are Monday - Saturday: 9am-9pm and Sunday 9am-8pm.